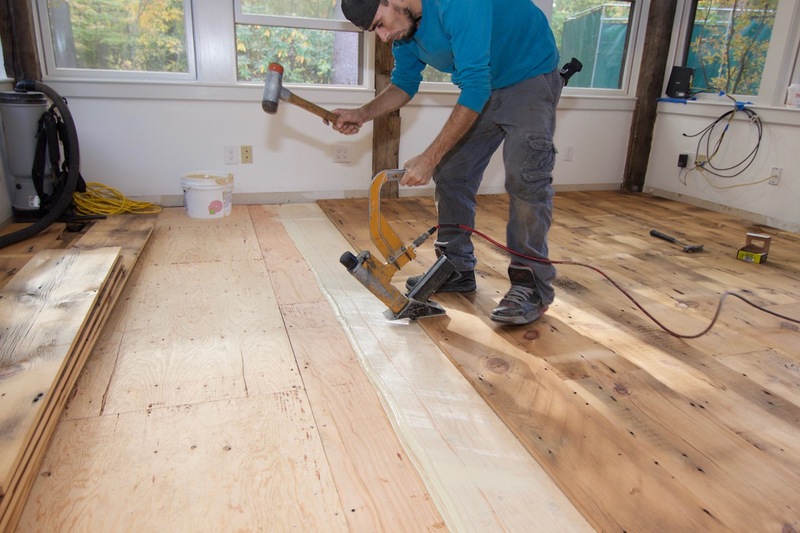 Installing wide plank flooring - Is not much different, from installing hardwood flooring strips. But with one added important step - adhesives. Yes - sticky, messy adhesives. 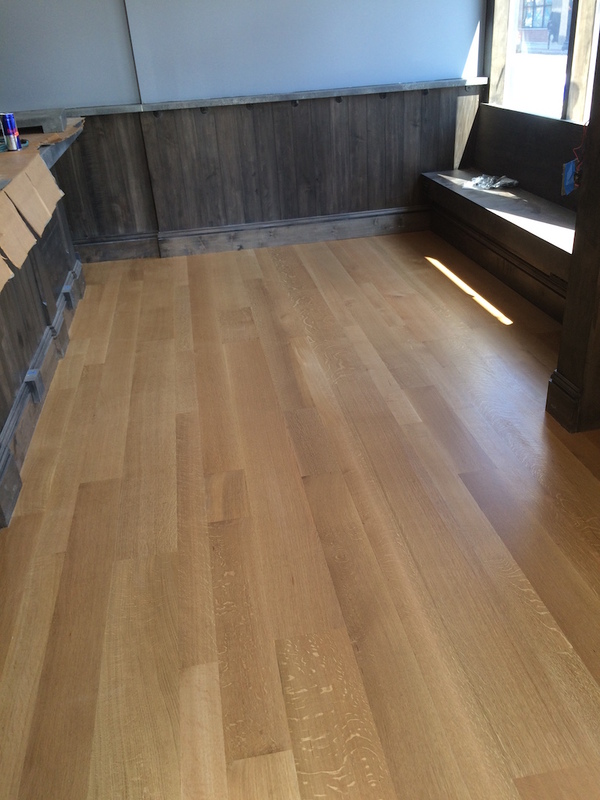 Regardless of the mess, it's the most important part of wide plank hardwood flooring installations. Of course, this applies to only planks that are wider than 5 inches. Why is adhesives so important? Why is glue so important? The glue is additional fasteners for wide plank flooring wider than 5 inches. If, you don't use flooring adhesives. 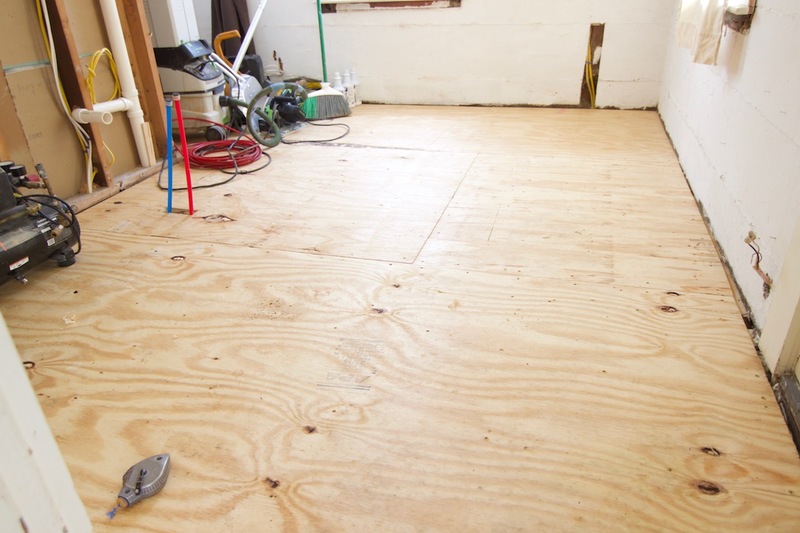 You are only fastening your flooring boards along the sides of the planks with nails, cleats or staples. Leaving the middle, flexing and floating. Issues you will have in the future are bowing, cracking, noise and total hardwood floor installation failure. Your hardwood flooring will not stay flat. The middle will lift up and you will be walking on a uneven surface. A nail down flooring installation will turn into a sprung floor, eventually. The glue acts as a vapor retarder. We all know how important a vapor retarder is. We don't want moisture damaging our floor from underneath. We abuse it enough from the top. Not only that, the glue will not deteriorate over time, due to moisture. The glue is a sound barrier. Why would a sound barrier be so important? If, you own a multi-level home, being able to reduce noise from other parts of the home is priceless. Foot traffic, music, tv and noise in general. Nothing like peace and quiet. 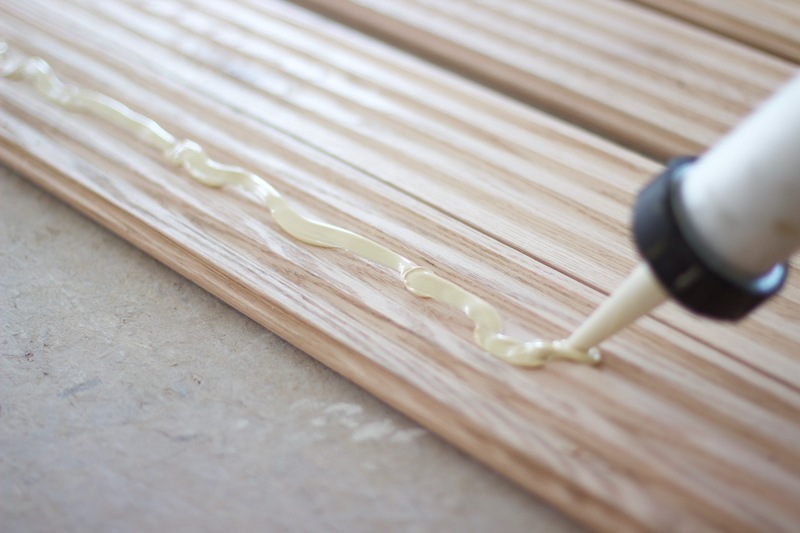 There are many different types of wood flooring adhesives in the market to choose from. Which one is the right one for you, will depend on the type of flooring, job-site conditions and building requirements. There are many choices for adhesives, but which one is correct for you? Choose an adhesive that has as many benefits as possible. Job-site conditions are never perfect and can change overnight. You should always choose an adhesive that will exceed your expectations. Choose adhesives with the following characteristics for the best performance listed below. No Water - avoid using adhesives with water. This can cause your floor boards to cup. 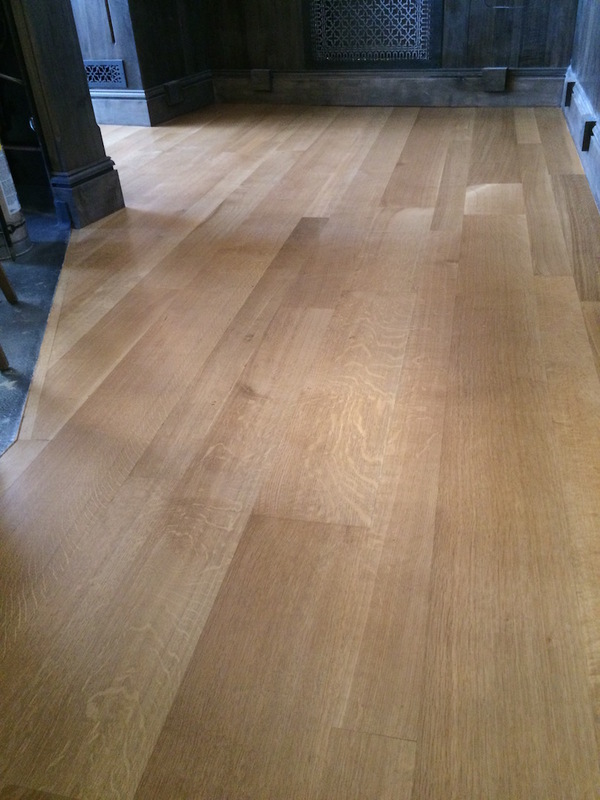 This will cause issues with staining and finishing, for on-site finished floors. It can fail in the future. My recommendation: choose a high shear strength moisture cure polymer adhesive. Subfloor preparation according to NWFA guidelines and adhesive manufacturer's guidelines. 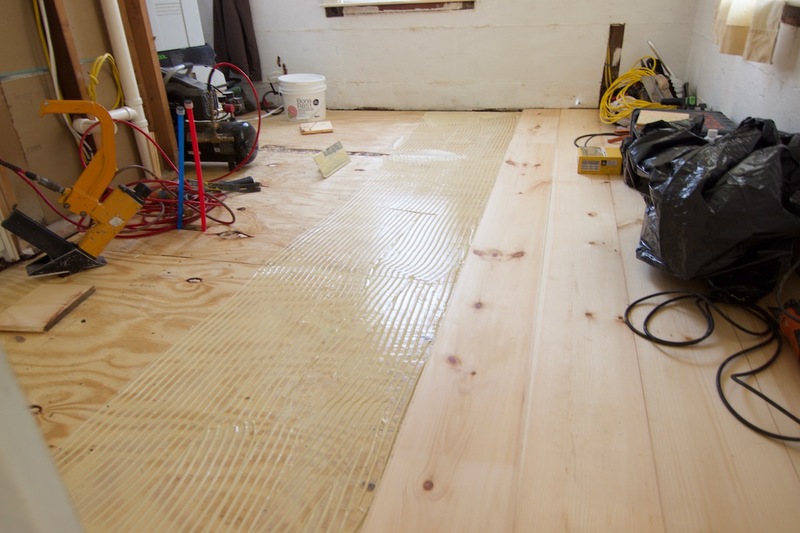 The subfloor should be flat within 3/16" over ten feet, sound, clean and dry. The subfloor should be free of contamination to prevent adhesion issues between adhesive and subfloor. For high performance subfloor panels like Advantech, the surface should be abraded with a 36 grit sandpaper before applying adhesives. In some cases a bond enhancer (glue primer) will need to be applied to promote adhesion, depending on the manufacturer. There are three installation type or method for wide plank flooring installation. Which type you use will depend on the width of your flooring and the construction, solid or engineered. Begin your wide plank flooring installation. Using the proper sized trowel, this will depend on the flatness of the sub-floor and the adhesive manufacturer's guidelines. Deep trowel for irregular floors and shallow trowels for very flat floors. Click the link, for more information on glue down flooring installation. Snap a straight line, then apply glue to a 12"-20", from wall to wall section. Face nail your first straight row. Then staple the rest of the floor boards, until you reach the end of the glue patch. 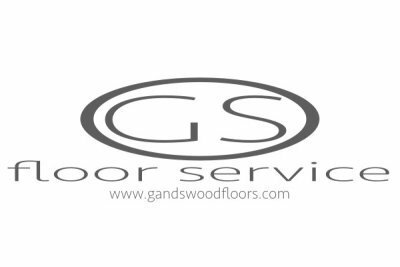 Click the link, for information on hardwood flooring installation. Now apply glue to a larger 24"-36" section and continue your plank flooring installation, repeat the process until complete. Did you find our page useful? Click the like and share button, so we can bring more tips to you.